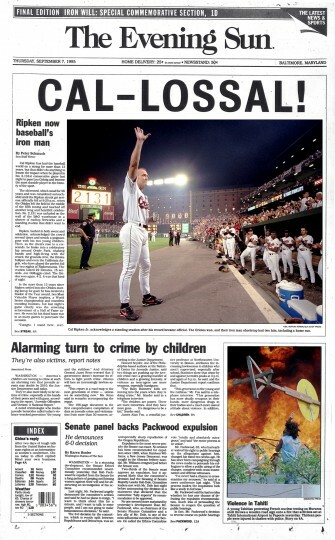 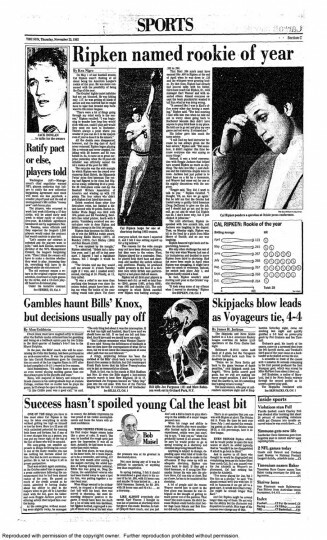 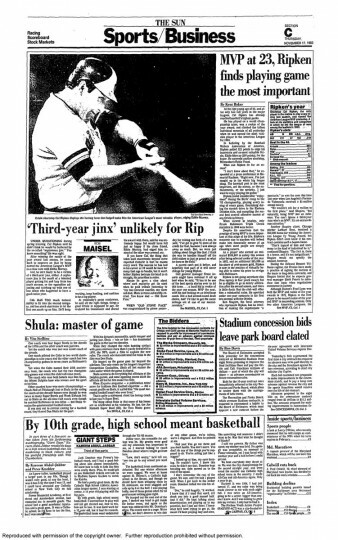 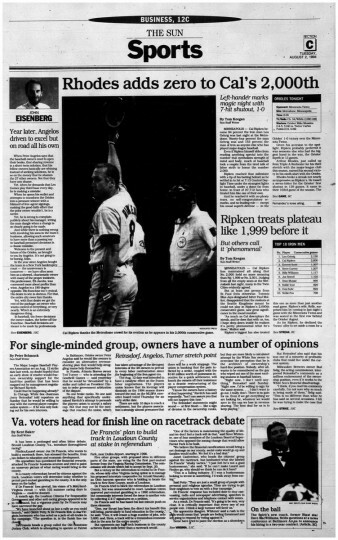 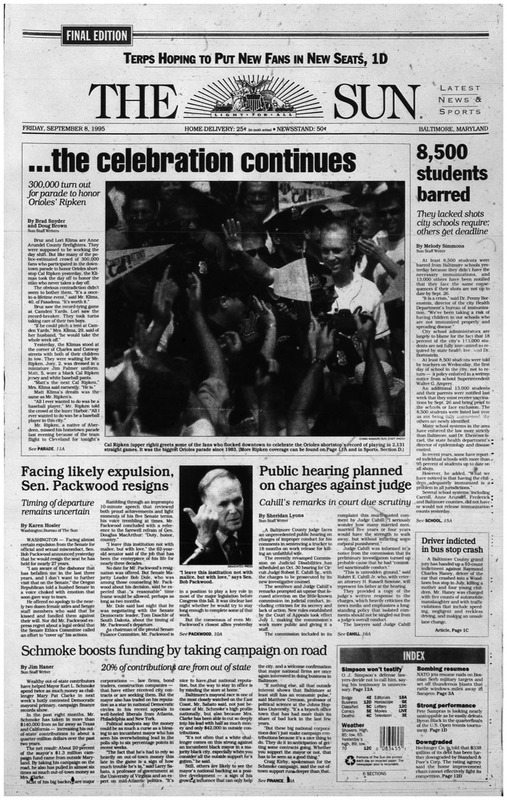 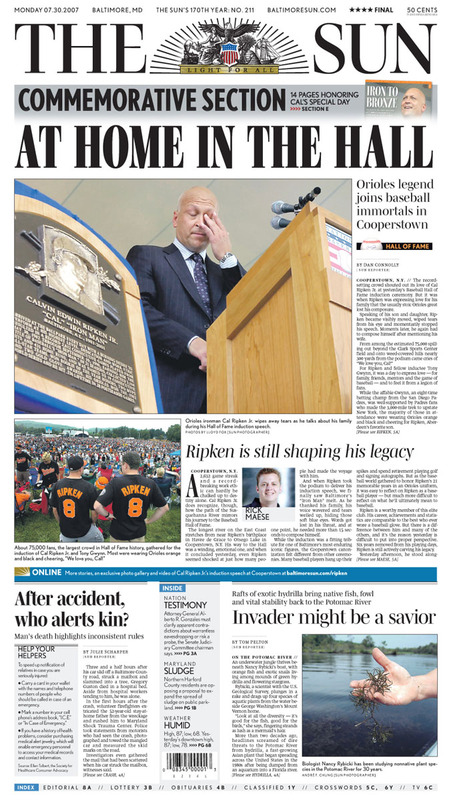 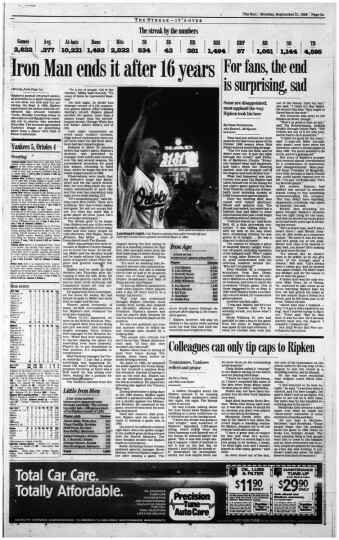 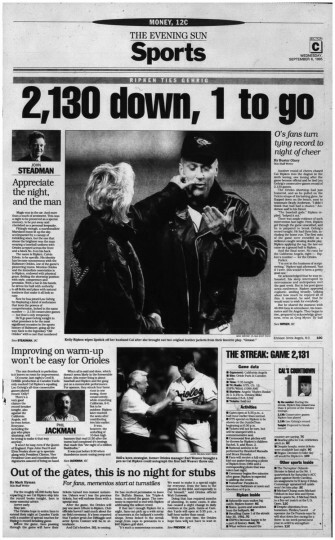 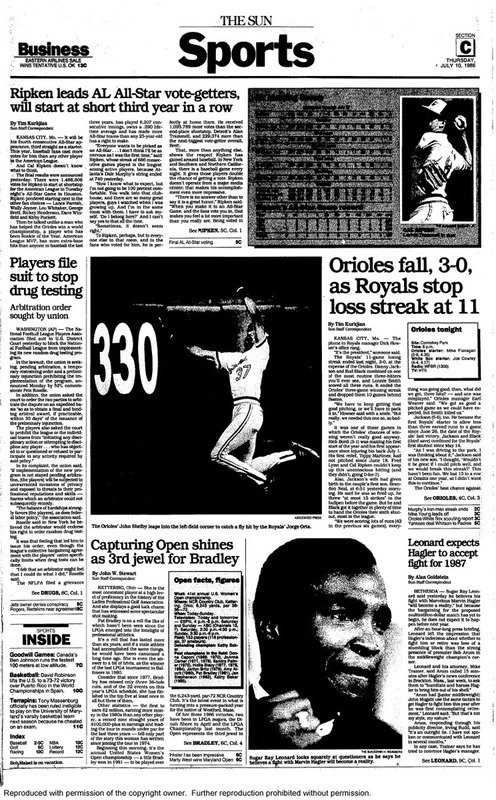 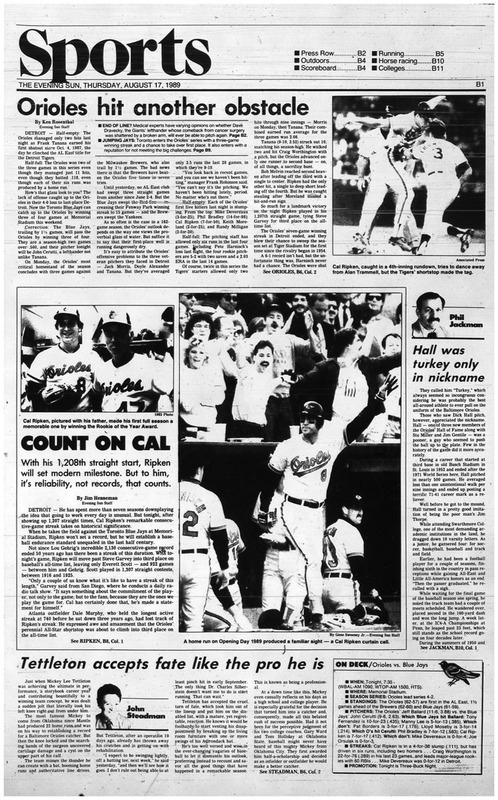 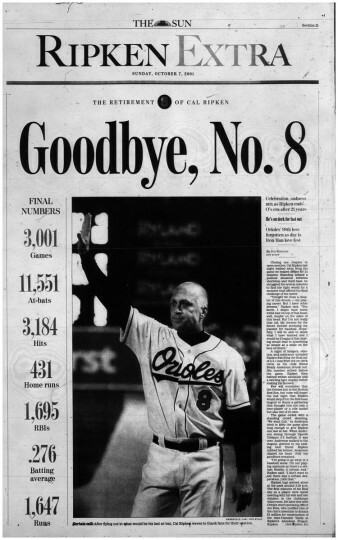 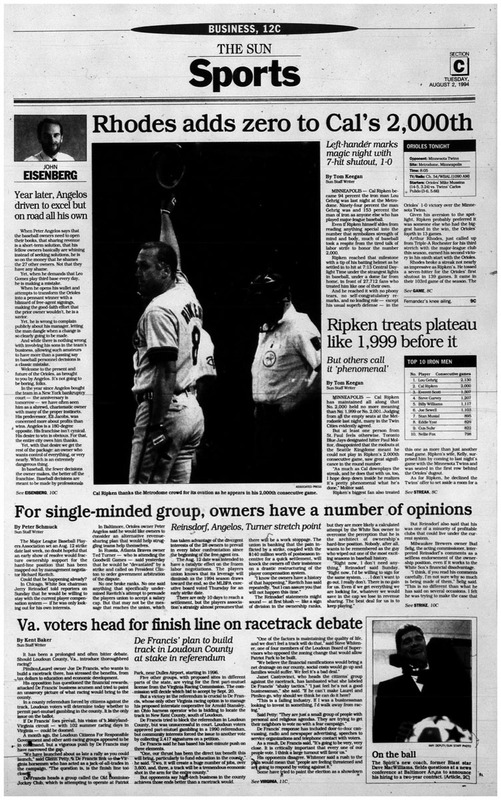 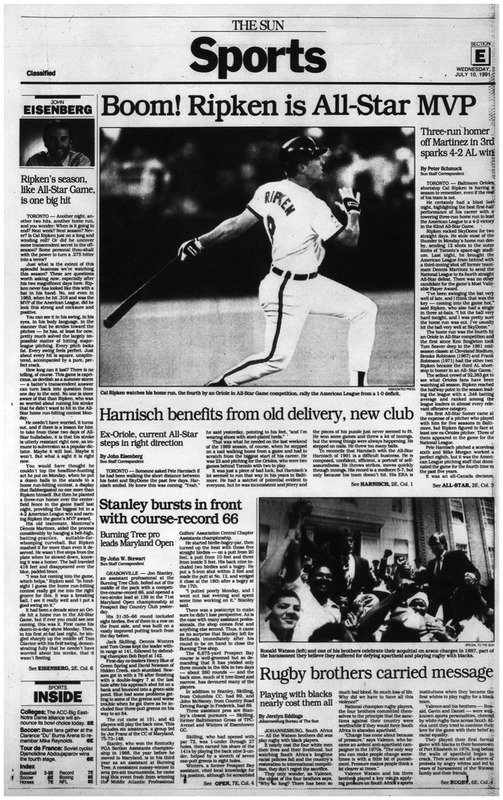 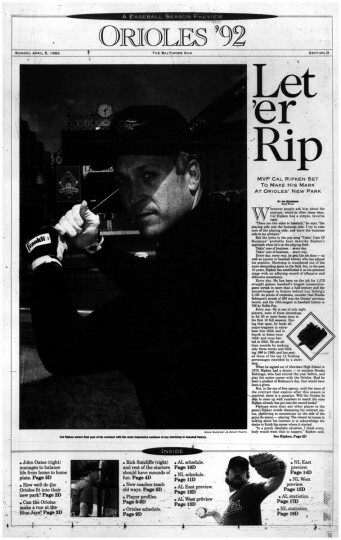 To commemorate the 20th anniversary of Cal Ripken Jr.’s 2,131st consecutive game, we selected 25 of the most memorable Baltimore Sun covers highlighting the record-breaking Orioles shortstop’s career. 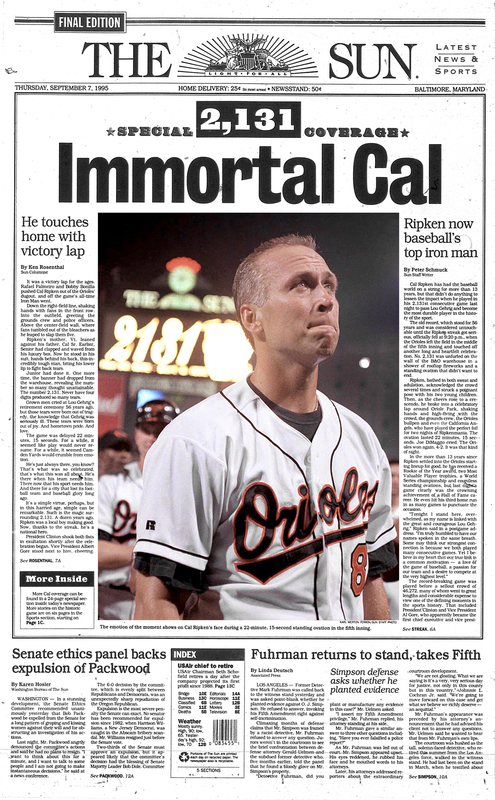 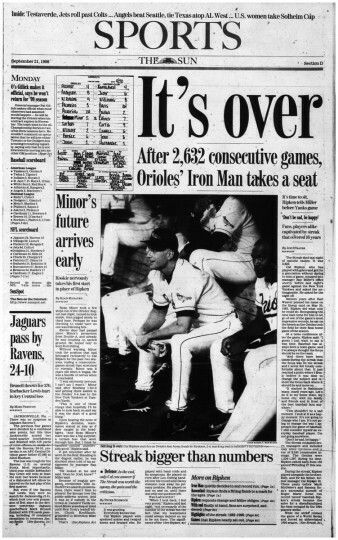 Coming soon: Order “Iron Man: Moments in Cal Ripken Jr’s Storied Career,” the new special edition book showing key moments from Ripken’s career in the pages of The Sun. 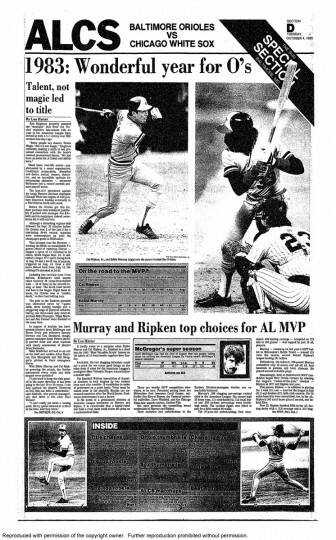 Eddie Murray and Cal Ripken Jr. are top choices for American League MVP. 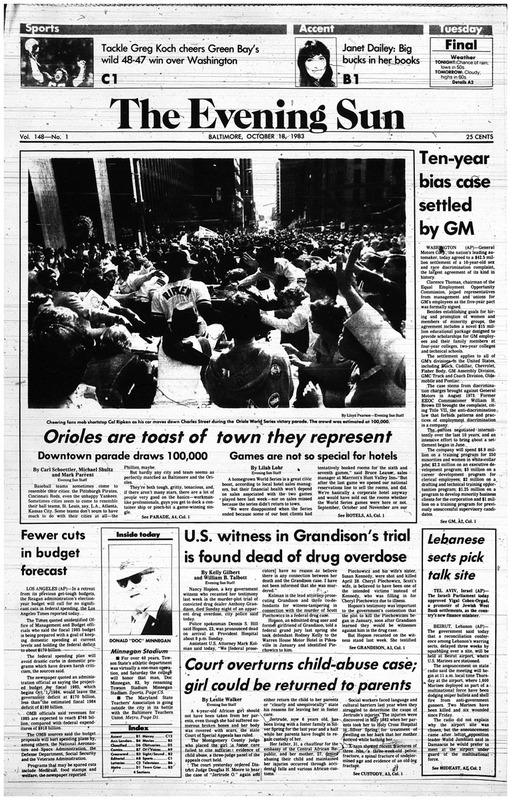 Cheering fans mob shortstop Cal Ripken down Charles Street during the Orioles World Series victory parade. 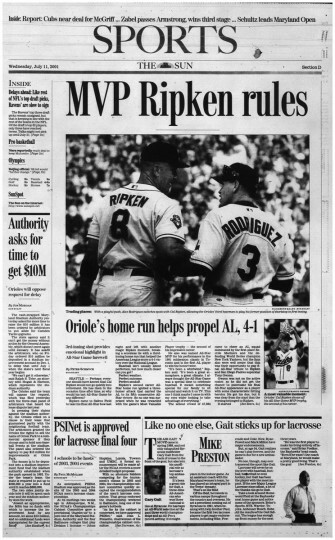 Ripken wins 2nd MVP despite Orioles’ woes. 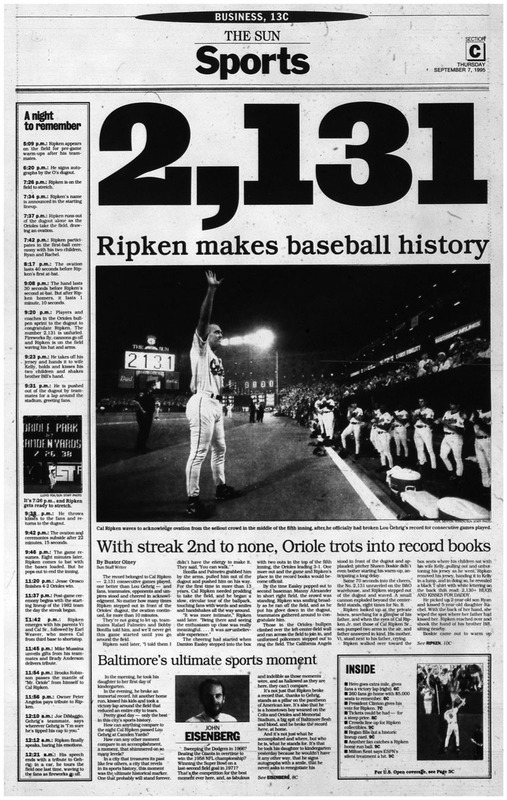 Ripken reaches 2,000 straight games. 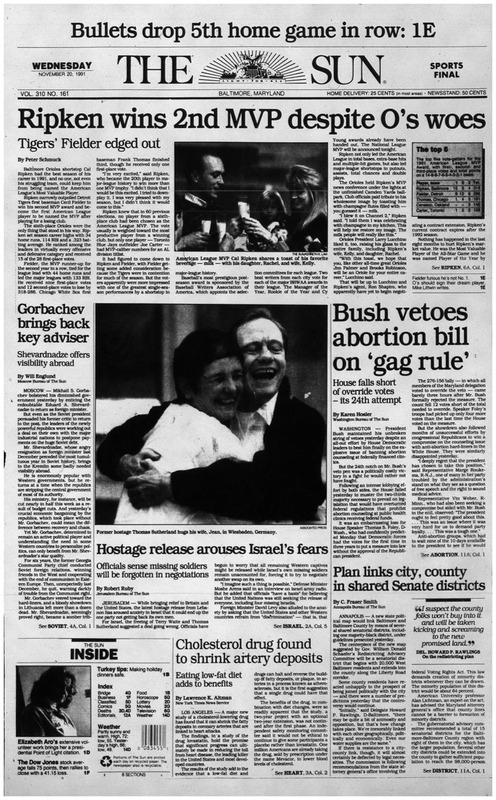 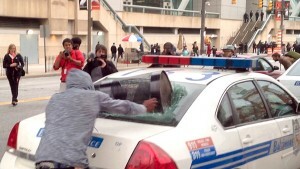 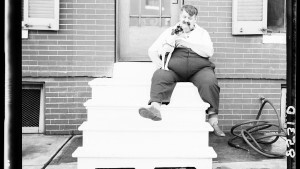 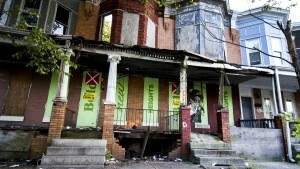 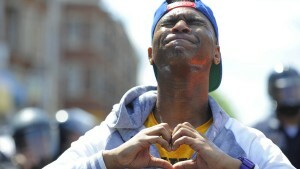 This is the first digital image to appear in a Baltimore Sun publication. 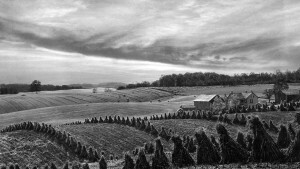 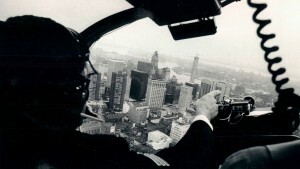 Shot with an early version digital camera. 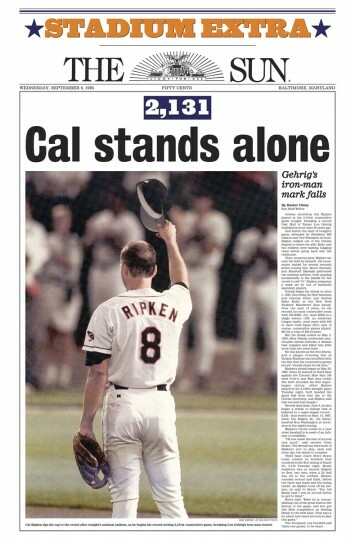 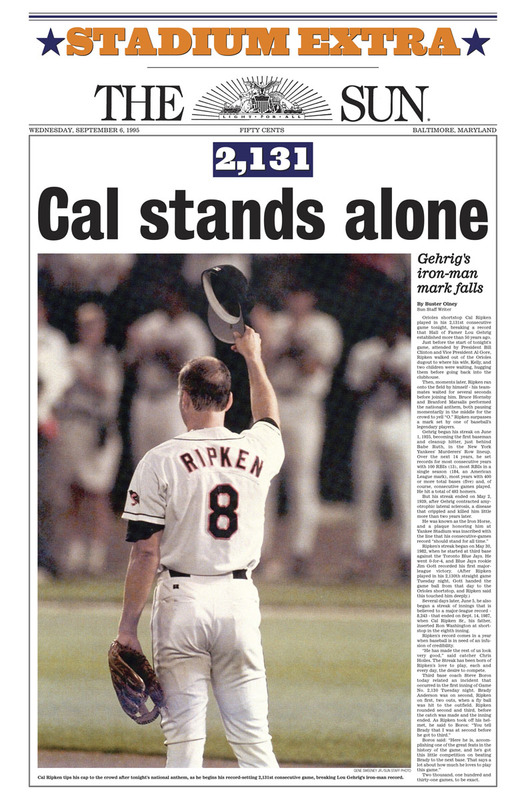 When the game became official after the 5th inning and Cal had recorded 2131 consecutive games he raised his hat to the crowd as they cheered. The Sun rushed the processing of this image and ran a “stadium edition” that was printed and at the stadium before the end of the 9th inning where it was sold to the fans. The Evening Sun 2131 front page. 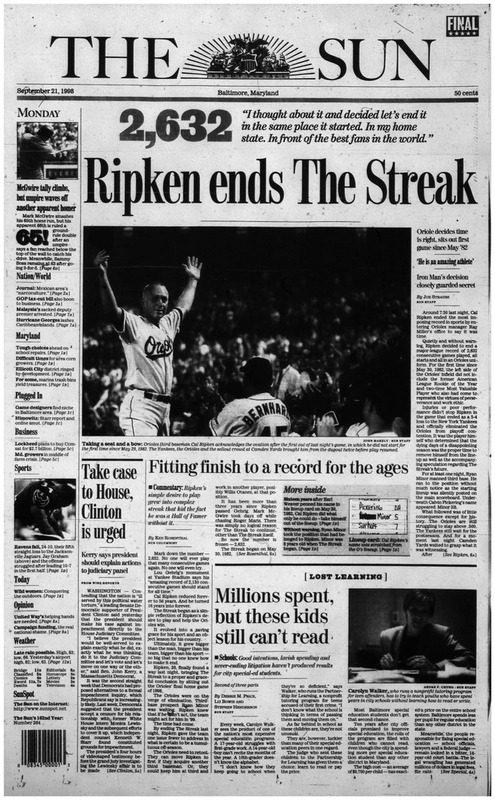 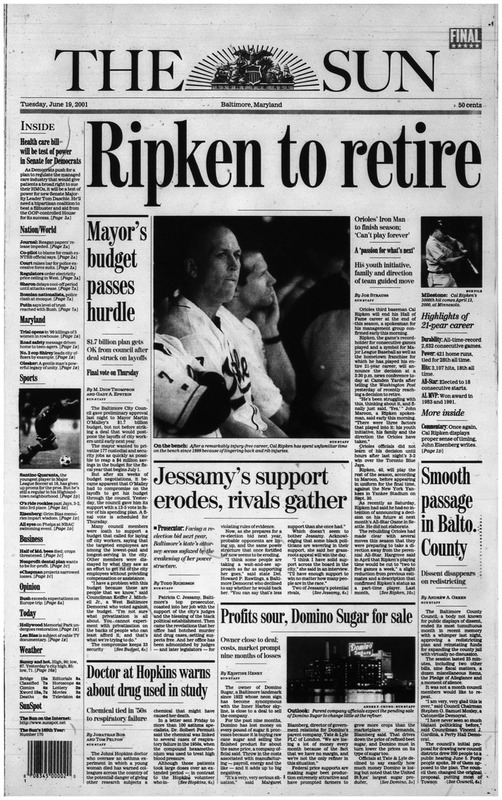 After 16 years, Ripken ends streak. 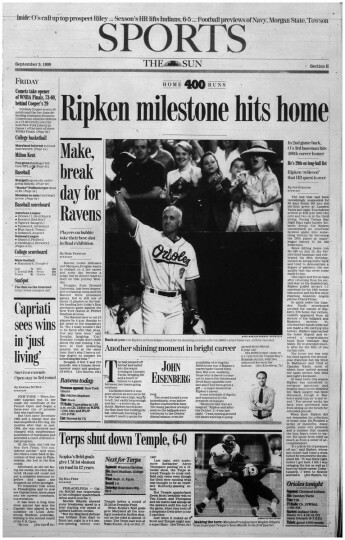 Ripken hits 400th career home run. 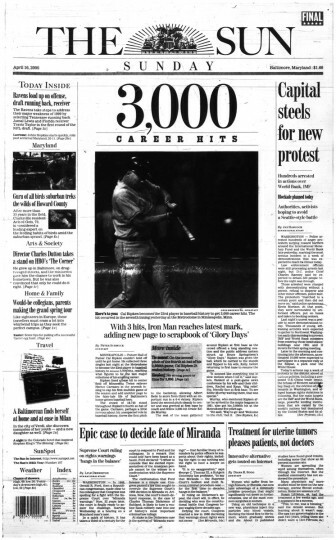 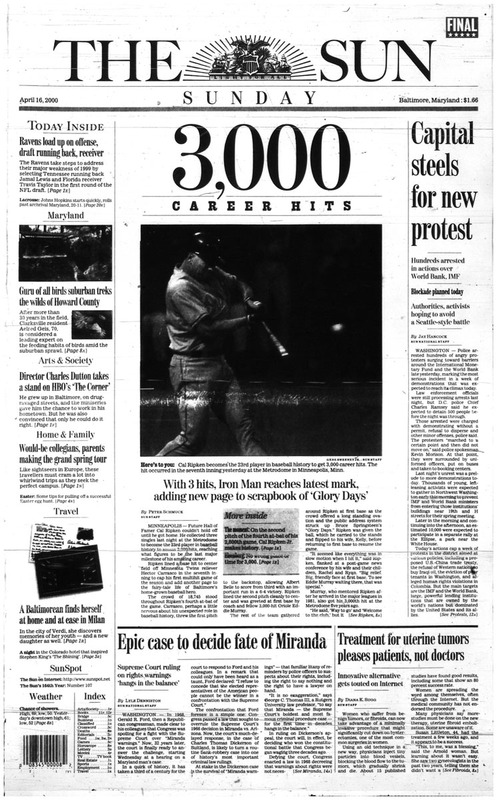 Ripken gets 3,000th career hit. 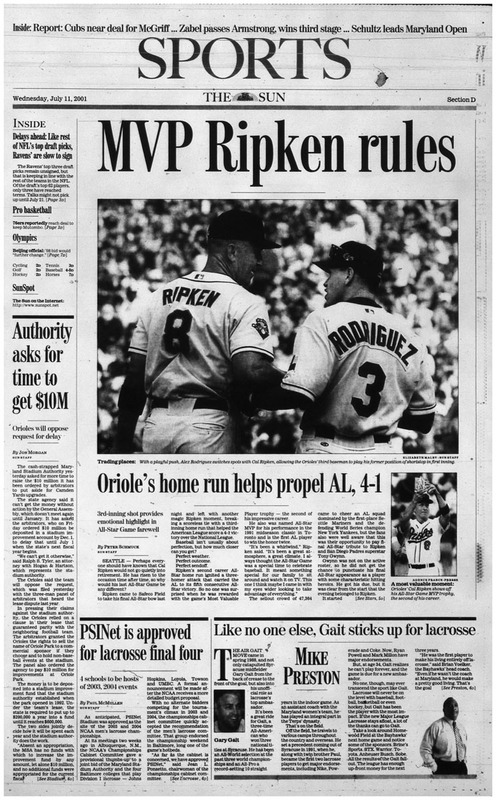 Ripken wins All-Star Game MVP.